Surfing Turtle Lodge is proud to announce that in this latest sea turtle nesting season we have released over 5,500 baby sea turtles from our hatchery, the largest number in one season since its inception in 2009. Surfing Turtle Lodge is located close to Leon on the shores of a remote beach where sea turtles come to nest. Dedicated to sustainable tourism, the Lodge built a hatchery, worked with the community and utilized the skills of the poachers to benefit the island's sea turtle population. 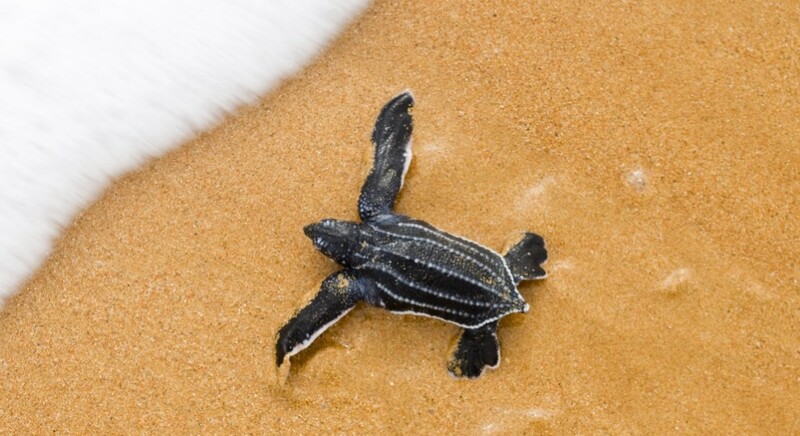 When the baby turtles are born, they are released with the help of guests and volunteers at the best possible time to make sure they all crawl safely into the ocean. The Lodge's turtle conservation initiative is entirely funded by guest's donations and profits from the Lodge. Aldo Fernandez, co-owner of the Lodge, said "As the first privately funded turtle conservation project in the area, we have released tens of thousands of turtles over the years. When we began, there was very little being done to protect the sea turtles. However, since then we have seen the government start to give this important issue more attention and other businesses have started their own conservation projects. Although we are happy and proud of the early role we played in the area, we hope to continue to be in the forefront of this conservation project and other sustainable tourism initiatives." Surfing Turtle Lodge is a unique hostel that explores tourism with an off the grid approach; powered with solar panels, an onsite turtle hatchery, and growing some of our own food. We are located on a stretch of deserted beach along Nicaragua's northwest coast. The hostel provides all the necessary amenities including a bar, restaurant, yoga deck, activities and more. Surfing Turtle Lodge has been featured in National Geographic Traveler, BBC Travel, Lonely Planet, and others.